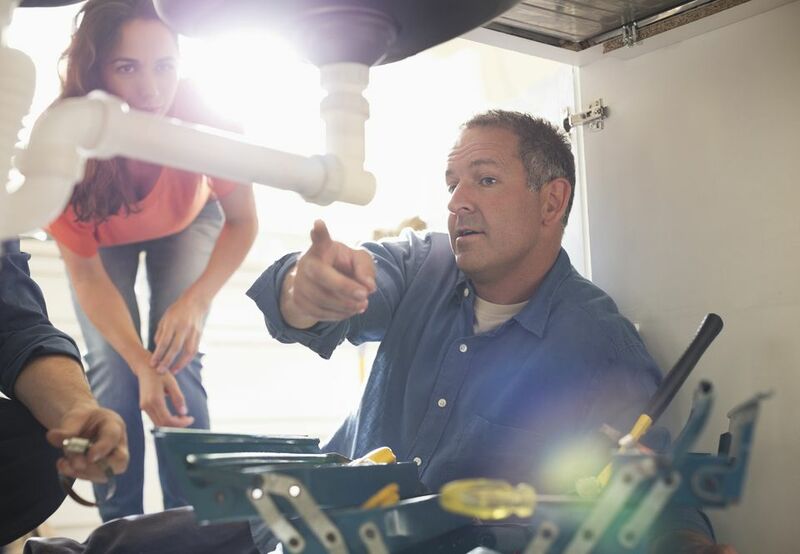 If you have to call a plumber for every manufactured home plumbing issue you encounter, you could end up spending a lot of money. Save time, money and frustration by knowing how to repair common manufactured home plumbing issues. It's best to start with the basics such as finding the water shut-off valves in a manufactured home, detecting leaks, and solving low water pressure problems. Plumbing systems in manufactured homes are slightly different from stick-built homes, but the concept is exactly the same. One of the main differences between traditional homes and manufactured homes is where the plumbing pipes are located. Manufactured homes do not usually have plumbing pipes within the walls, instead, they are under the home and stubbed up through the floor. There are three separate systems that every home must have for proper plumbing; supply lines, drain lines, and ventilation. Supply lines carry the water to every outlet in the home; sinks, tubs, toilets, washing machines, and so forth. There are separate lines, one for hot and another for cold. Most older manufactured homes were built using a hard plastic supply line made of PolyButylene pipe, which has been outlawed in most areas because the connections had a tendency to leak. If your home still has the PolyButylene, you may need to replace them eventually. At the very least, keep an eye out for leaks. Nowadays, most manufactured homes and stick-built homes use Pex. The drainage lines carry waste and water to the septic tank or the main sewer line. The drain line simply connects sinks, toilets, tubs, washing machine, and the like, away from the home. Ventilation lines tie into your drain lines and help the pipes hold the proper pressure or vacuum. Without ventilation lines, your drains will not work properly. Once you know how the system works and learn a few of the basics, you can repair small issues yourself. Of course, you should always call a plumber if there are serious problems. There are at least three ways to cut off your main water supply in a manufactured home. The first possibility is the water meter, where the water company's line connects to your home's supply line. Usually, the meter is housed in the ground and has a large manhole cover. You will need a special tool to turn the nut on the meter, but a wrench and screwdriver work as well. The second possible location for a cutoff valve is under the home, close to the water hose connection. Look around the back door or on the front of the home close to the end. Lastly, there may be a cutoff valve at the water heater. 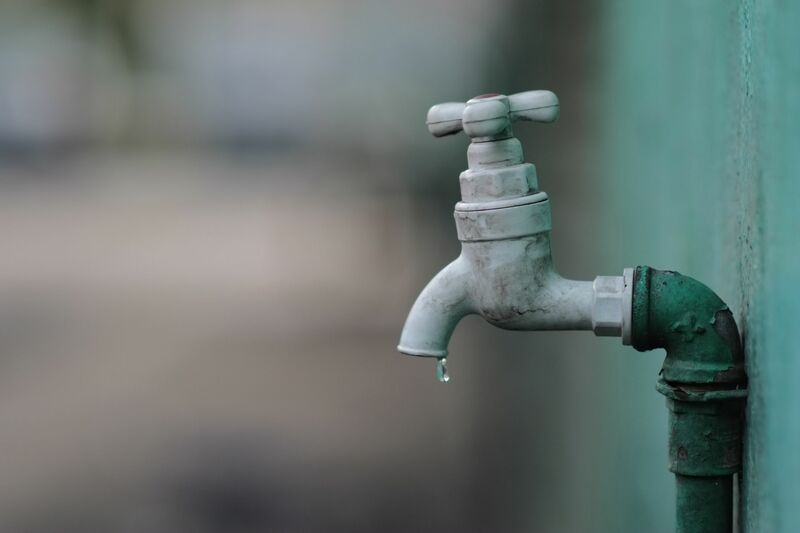 It is advisable that you have cut off valves added to each water source in your home for quick repairs and emergencies. Even small water leaks can waste over eight gallons of water each day; that's a lot of wasted water! It is sometimes difficult to find leaks but there are a few tricks of the trade. Water draining down the overflow tube when the tank is full means the fill valve is not working properly. Replace it. Check the chain to make sure it is straight and not hooked to anything. Check the flapper seal. They wear out and get warped. You can also use a leak detection tablet or a small drop of food coloring. Just add it to the tank before you go to bed. If you see tinted water the next morning, you have a leak. It's often easier to replace everything at once instead of part by part. Kits can be bought for less than $15. If you suspect a leak somewhere in the home but can't find it, you can check to see if water is being used on your water meter. Make sure there is no water being used anywhere in the home, then go check your meter. If there is movement on one of the dials, you have a leak somewhere. Search both the home and the yard. The leak could be anywhere. If you can't find any leaks, use the main shut-off valve either at the garden hose connector or at the water heater, but not at the main water meter. Once the water has been shut off, check your meter again. If it's moving, your leak is most likely between the meter and the home, underground. The aerator, or screen at the tip of the faucet, could need a good cleaning or replacement. The pressure reducing valve needs replacement. Pressure reducing valves, or regulator valves, reduce water pressure before it enters your home, and is vital to a healthy plumbing system. Freezing can cause the inner parts to stop working properly. If you have galvanized pipes, then lime, rust, and scale buildup could be causing the low pressure. The buildup rapidly occurs when the pipe is installed on an even horizontal grade. Galvanized pipe is made of steel with a zinc coating. The minerals in water react to the material and create scale. This also causes water to have a foul smell or bad taste, like metallic. You should also make sure your main water meter and shut-off valves are turned as high as they can go.